GRAMBLING, La.- The Texas Southern Tigers defeated Grambling State in a rout on Monday night winning by a score of 80-52. TSU (11-14, 10-2 SWAC) won their sixth consecutive game as Omar Strong and Ray Penn each scored 15 points and made four 3-pointers. Lawrence Johnson-Danner contributed 14 points and Aaron Clayborn tallied his second double-double of the season with 13 points and 10 rebounds. Texas Southern outrebound Grambling 38-23 as the GSU Tigers never led during the contest. A Grambling 3-pointer cut the deficit to 10, 50-40 for the Tigers, but a Strong 3-pointer capped a 14-3 run putting Texas Southern ahead 64-43 with 7:58 remaining. GSU trailed by double figures the remainder of the game. Texas Southern finished shooting 53.8 percent (28 of 52) while holding Grambling State to just 39.2 percent (20 of 51). Madarious Gibbs and Kyrie Sutton each scored nine points as the Tigers bench outscored Grambling's 21-11. Texas Southern outscored Grambling State inside the paint 28-16. The Tigers scored nine points off of Grambling State turnovers. Strong led all players in minutes played logging 38 minutes of play. Sutton had an efficient night from the floor missing just one shot attempt (4-5). 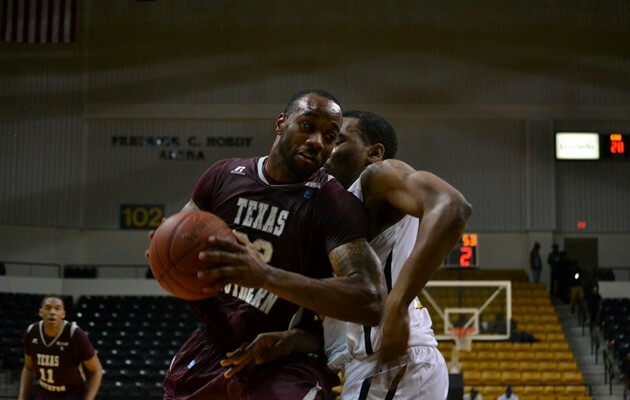 As a team Texas Southern dished out 17 assists with Gibbs contributing a total of seven. Texas Southern will host Arkansas-Pine Bluff on Saturday February16 at the H&PE Arena at 1:30 pm in a meeting between the current top two teams in the SWAC in the standings. The Tigers will play the second installment of a two-game home stand on Monday, February 18 versus Alabama State at 8:00 pm. Omar Strong made a three-point basket for the 58th consecutive game which is the current longest active streak in the NCAA. Aaron Clayborn tallied his second double-double of the season and ranks third in SWAC in field goal percentage. The Tigers had a total of four players score in double figures against Grambling State. TSU Head Coach Mike Davis needs two more wins to reach the 250 career win total. Texas Southern leads the Southwestern Athletic Conference in points scored per game.